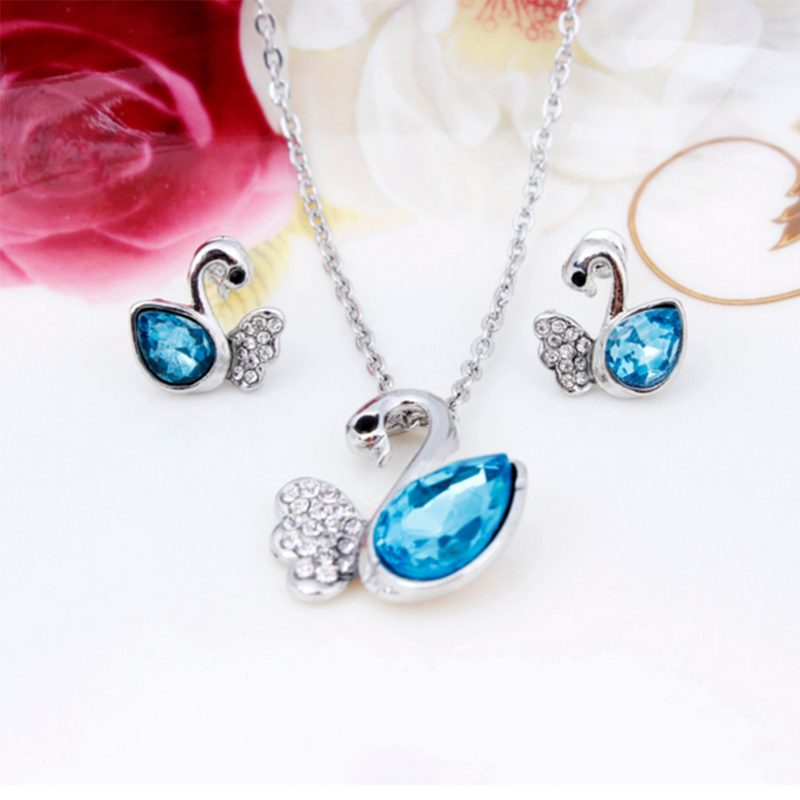 Elegant swan design matching set with crystals. This beautiful matching set contains a pendant necklace with a pair of matching earrings. The gorgeous pendant is of a silver swan decorated with crystals which is supported by a strong silver chain. The matching earrings contain the same swan design but are supported with a silver stud.